More than 2 300 years old, the Great Wall of China is, unsurprisingly, the world’s longest wall, and also the largest piece of ancient architecture in the world. 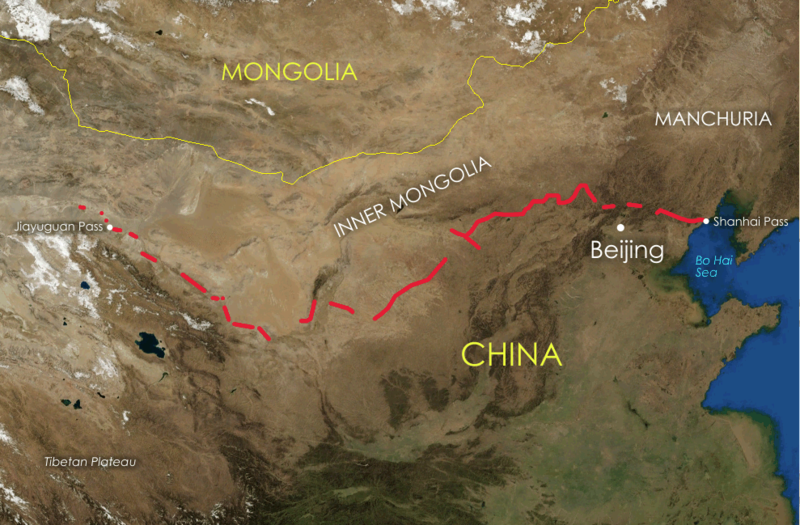 Officially, 21 196.18 kilometres long, the Great Wall spans 9 provinces. Here are some more great facts about the Great Wall. Contrary to popular belief, you cannot actually see the Great Wall of China from space with the naked eye. In order to see it, you need some kind of aid, like a telescope. In fact, astronaut Neil Armstrong went on the record, asserting that you can’t see the Wall from space, nor from the Moon. You can, however, see it from a low orbit. If there are no clouds.